Contractors should know about requirements for residential pool pumps and motors SACRAMENTO – Swimming pool equipment can be purchased from just about any manufacturer’s website or in stores; some shipping from out of state. In California, the energy efficiency regulations on residential swimming pool pumps and motors are straightforward, but could be something the manufacturer might not be up-to-date on. 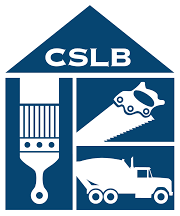 CSLB and the California Energy Commission (CEC) are partnering to show contractors how to check a pump or replacement motor for the regulations before they purchase or install it for their customers. Major updates to energy efficiency standards in California related to residential swimming pool pumps went into effect in 2010. Some contractors might already know that the requirements were updated from single speed equipment to dual, multiple or variable speed pumps and motors so the consumer can change the speed as needed; speeding up to clean the pool or slowing down to save energy while filtering the water. This applies for all pumps at or above one total horsepower (THP). The same rules apply to replacement pool pump motors. Manufacturers can still sell the single speed pumps or replacement motors; they are currently used in the industry for water features like waterfalls, pressure cleaner booster pumps or even some types of irrigation systems, like hydroponics. But, CEC wants to be sure contractors know that residential swimming pool pumps have to meet the standards which are monitored by the California Energy Commission, or the installation could lead to a fine as high as $2,500 per violation (Public Resources Code § 25402.11.b). Every pool pump and replacement motor should have a permanent label which displays the horsepower (HP), service factor (SF) and motor capacity (California Code Of Regulations § 1607.b and 1607.d.9). In the photo, the motor capacity is referenced as the SFHP; some manufacturers may also refer to it as total horsepower (THP). Contractors can check the SFHP or THP by multiplying the labeled horsepower by the service factor. CSLB encourages contractors to verify these numbers to ensure they are installing the proper equipment. Contractors should also verify that a filtering pool pump or replacement pool pump motor appears in the CEC’s Modernized Appliance Efficiency Database System. Only models shown in the database may be legally sold in California. Questions related to the appliance database can be directed to Appliances@energy.ca.gov or to the Appliances Hotline, toll free at (888) 838-1467, or outside California (916) 651-7100 (9 AM to 4:30 PM PST). For those contractors affected by the California energy standards for residential pool pump and motor installation, please take some time to review the following resources and utilize the CEC website for up to date information.